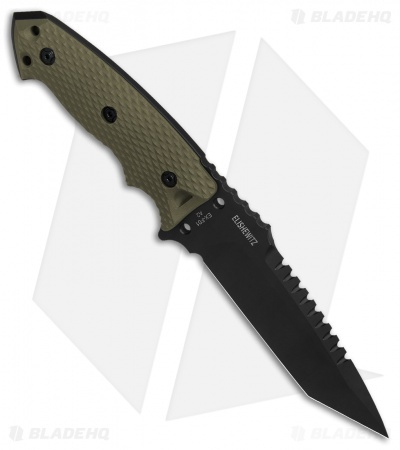 This EX-F01 model has a black finished tanto blade and an OD green G-10 handle. 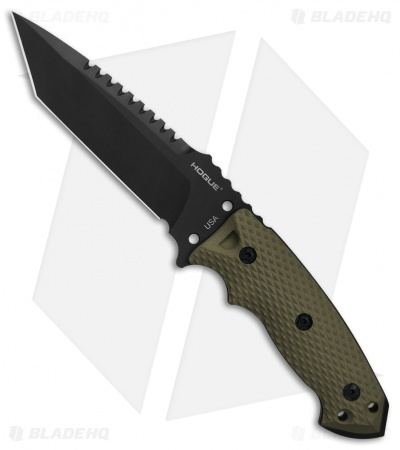 The EX-F01 knife is tough, with a 1/4" thick A2 tool steel blade this tactical fixed blade isn't the type to let you down. The 5.5" blade is full tang with an extended striker at the base. 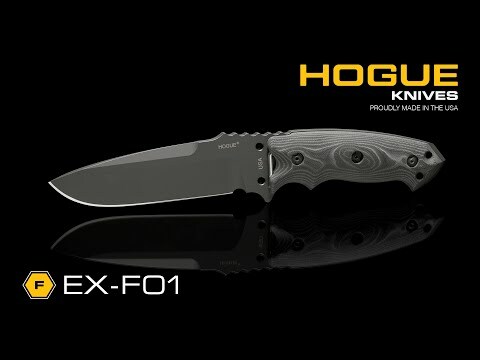 The shape and contour of the handle offers extreme comfort and grip with the index groove below and spine notches up top. The G-10 handle scales feature a textured pattern for a high performance grip. 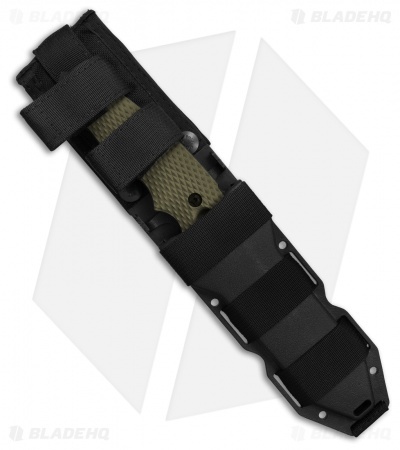 The EX-F01 includes a black Milspec ballistic nylon sheath with a MOLLE compatible back.